McNab Ridge (which is the parent company of the other three labels as well) is owned by John Parducci of the Parducci family of Mendocino County, an American AVA that we had little representation of in our book. 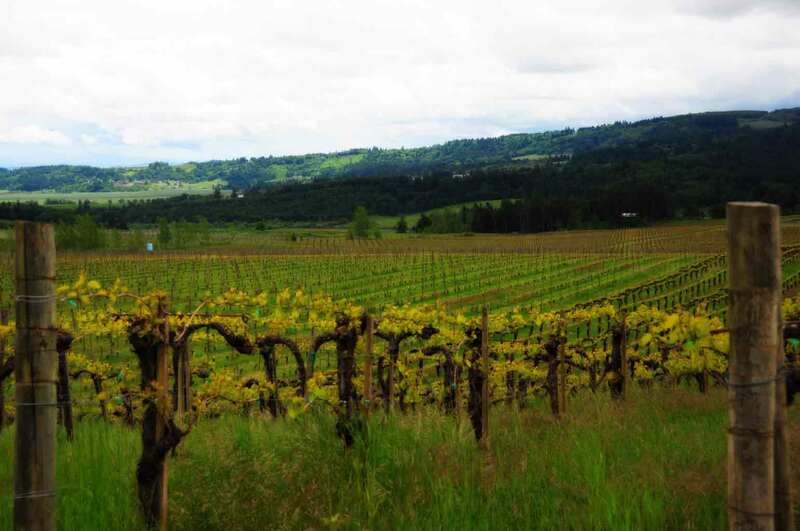 Mendocino County is a particularly fascinating region, becoming more and more important as the likes of Wine Spectator and the New York Daily News spend more ink profiling the area. The Parducci name is instantly recognizable, but the Parducci family has not been involved in their namesake for decades since selling it off to a larger entity (another iconic Mendocino County family, the Fetzers, have also done this … interesting to think that every bottle of Parducci and Fetzer on the market has no hand of the named family involved). The story starts in 1912, when John Parducci’s father Adolph Parducci left Tuscany and arrived in California. He quickly established himself in Mendocino County as a premier grapegrower, selling grapes to home winemakers around the country. As a result of focusing on home winemakers, when Prohibition was enacted in 1920 he was able to weather the storm (being that home winemaking was legal during Prohibition … the same loophole that enabled the Mondavi family to establish their future path). His son John was born into the business in 1918. When John Parducci was 14 years old, during Prohibition, he rode along with forty railcars of the family’s grapes to sell them around the country … an experience impossible to imagine in today’s world. Over time, from the 1940’s through the 1980’s, John continued to make wine under the Parducci label. Becoming known as “Mr. Mendocino” he became a champion of the region, was the first to varietally bottle wines from the area (Zinfandel in 1944, Petite Sirah in 1946, and French Colombard in 1947), and became the encyclopedia of wine knowledge for the young wine California wine industry. In 1994 he sold the Parducci winey and entertained the idea of retirement. He was 76 years old, a living legend, “Mr. Mendocino”, and had a family to enjoy. It was time to slow down. But like so many Italian-Americans in the wine industry, “slow down” doesn’t fit their personality. So five years later, in 1999, he came out of retirement at the age of 81 to start a new venture, McNab Ridge and Zellerbach. Originally homesteaded in 1868, the property formerly known as McNab Ranch consists of thousands of acres of bucolic land, full of old oak trees, rolling hills, and amazing vistas. Amongst the valley (located about six miles north of Hopland, the ‘entry point’ of Mendocino for those driving up from Sonoma County) is the McNab Ridge Winery. They also have a great tasting room located right in Hopland … only a half hour drive north from Healdsburg. The valley was originally settled by a Scottish immigrant named Alexander McNab. To help control his flocks of sheep, he acquired a two fox collies and bred them. The result was a very distinctive breed of dog now called the McNab … a breed valued by sheep herders worldwide for their intelligence, stamina, and hustle. At The Wine Company the grand trifecta is family ownership, authentic wine making (non-interventionist and sustainable), and sense of place. All three are inherent in these wines. Our current selections from the McNab Ridge label include a stunning and very low production French Colombard and equally hard to find Rose’ of Syrah. The wines that are larger production (but by no means huge … the entire winery production is only 16,000 cases) include Sauvignon Blanc, Chardonnay, and Cabernet Sauvignon. The Zellerbach label is named after James David Zellerbach, better known as Ambassador Zellerbach, a legend in California wine history, as the original founder of the Hanzell Winery in Sonoma. 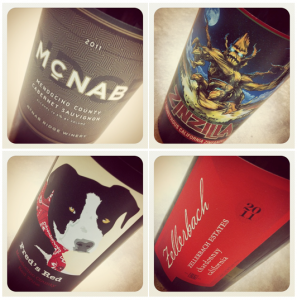 The Zellerbach wines are sourced from cooler climate regions throughout California, and offer huge bang for the buck but a different style than the McNab Ridge line. Currently we are carrying the Zellerbach Cabernet Sauvignon, Merlot, and Chardonnay. John Parducci, at the age of 95, is a living legend. This last spring (2013) he and his wife celebrated 76 years of marriage with their ever-growing family. Please raise a glass to this living legend when you get to experience McNab Ridge. Hi…in California not long ago and tried Fred’s Red ~ loved it! Live in Florida. Might you know where/how I can purchase some, now that I’m home? Afraid we don’t know off hand where to buy it in Florida (with their tight shipping laws it might be hard to direct order from the winery). You can try this page: https://www.mcnabridge.com/xe/xe.asp?page=viewcat&cat=fun-bunch. Otherwise, if you’re in MN and want to know where to purchase it, let us know. Shoot us an email at info@thewinecompany.net.